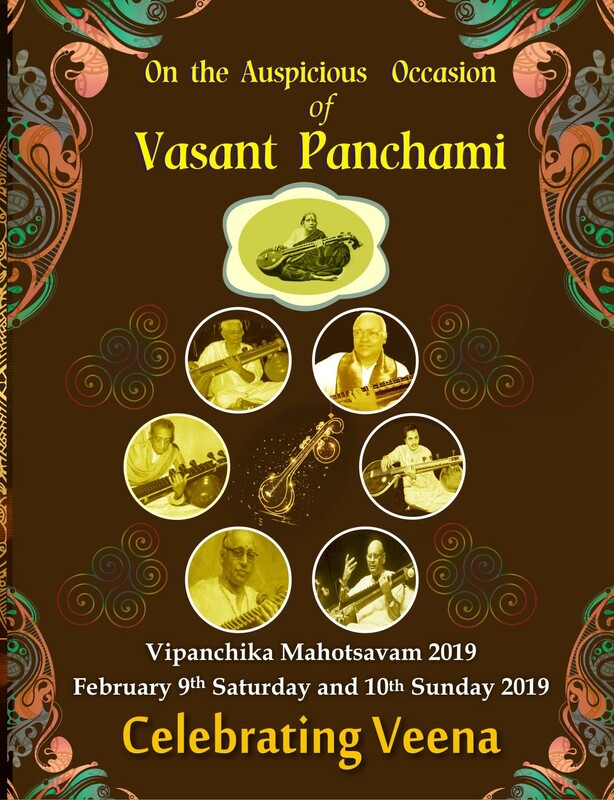 This is an open invitation from Shanmukhapriya Foundation to all visitors, well wishers and friends to participate in the upcoming Vipanchika Mahotsavam 2019, a two day festival dedicated exclusively for honouring the divine instrument Veena, on the auspicious occasion of Vasanth Panchami during February 9th Saturday and 10th Sunday at Edappally , Ernakulam, Kerala. Shanmkhapriya Foundation is a non-profit research institution that works towards the promotion of South Indian Carnatic Music and Veena. Shanmukhapriya School of Music, an integral part of Shanmukhapriya Foundation has successfully completed 21 years in the domain of teaching Carnatic Music and Veena. Veena, the National Instrument of India, is said to be in existence from the time of Rig Veda and is the queen of all instruments. This ancient instrument and tradition of veena playing, needs to be preserved and shared with more audiences worldwide. Vipanchika Mahotsavam 2019 is a step towards realising this vision for popularising Veena and the the divine nada that emanates from this instrument. Sri. A. Ananthapadmanabhan, A-Top artist of AIR has agreed to be the Patron for this event. 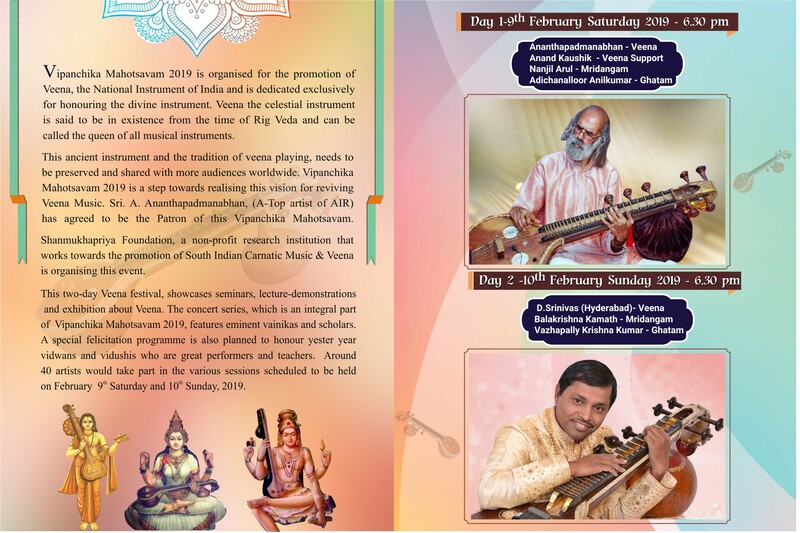 Vipanchika Mahotsavam 2019 showcases workshops, lecture-demonstrations and exhibition about Veena. The concert series, which is an integral part of Vipanchika 2019, features eminent vainikas and scholars from Kerala and other states. Felicitations and Life Time Achievement Awards will be presented to senior vidwans and vidushis who were great performers and teachers. The event features all categories of vainikas namely Senior Vidwans / Vidushis, Professionals/ Amateur Artists and Upcoming Talents to glorify the instrument, with their exemplary talent. Around 40 artistes would take part in the various sessions scheduled to be held on February 9th Saturday and 10th Sunday, 2019.